The Technology Headlines is a knowledge platform for industry leaders and professionals to share their experiences, ideas and advice within the enterprise. 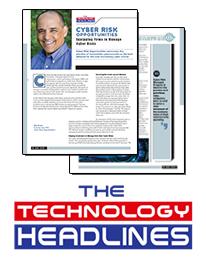 Recently the magazine featured organizations and leaders providing Risk Management Solutions. We are pleased to announce that Cyber Risk Opportunities is among the list of the providers to watch among the fastest growing companies in the nation.